Renovating my kitchen was a dream of mine for seven years. The experience was exciting, fun and often tremendously overwhelming. There are so many decisions that must be made whether you are approaching this alone or with a designer. I will outline my overall approach to this process in future post as part of this series. My hope is that by the time you go through my journey here @ Eat Breathe Travel, your journey will be less overwhelming and more enjoyable. 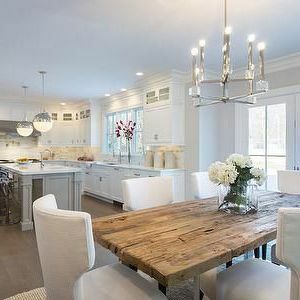 Before getting started and during the entire process I looked at so many kitchens in showrooms across Atlanta and online. Among other things, these kitchens encompassed my overall design aesthetic and gave me a springboard to work from to ultimately establish my must haves. 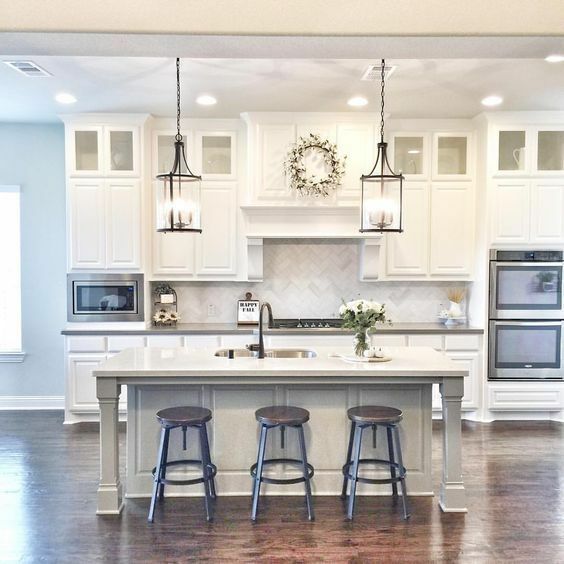 One of my must have elements was replacing my old white cabinets with new white cabinets that extend to the ceiling with glass panels throughout. I can’t wait to show you the pictures. Speaking of decisions, selecting a back splash was one that caused me to have countless sleepless nights. Marble, glass, ceramic….there are so many possibilities for materials. I settled on marble because of its classic appeal and color. Deciding on the back splash layout was a whole different series of decisions and sleepless nights. Grout color is yet another selection that must be determined before your project can be completed and the color selection makes a huge impact. Kasey with The Raw House Project does a great job covering this topic. 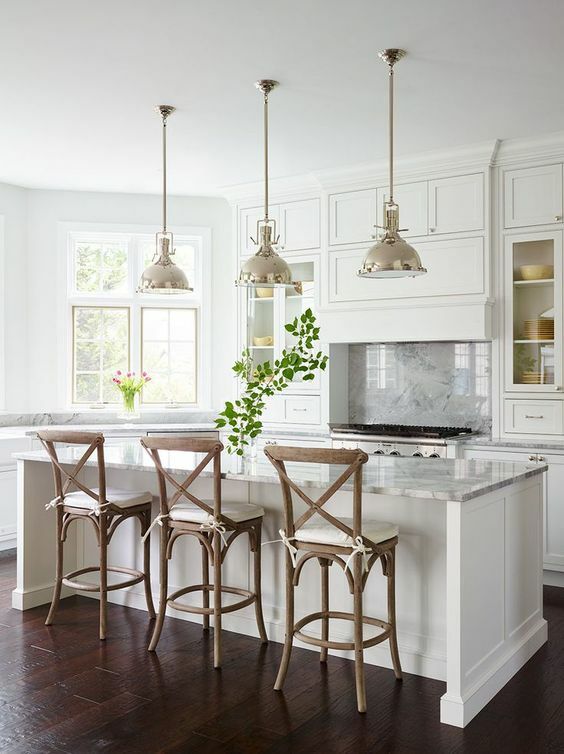 Here are a few kitchen back splashes that inspired me. 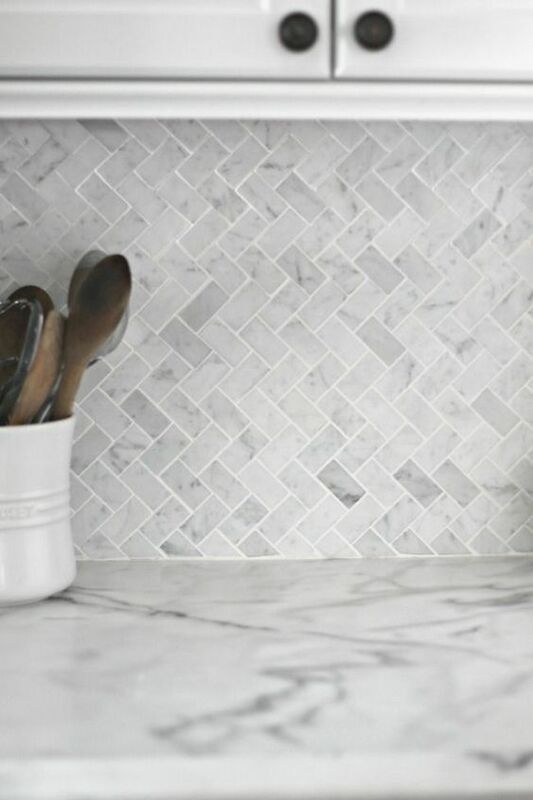 I ultimately opted to use individual polished marble subway tiles with bright white grout. I had it installed in a herringbone pattern above the cook top, as a special feature. Here are some of the styles that I considered. Ready to see my actual pictures? Here you go…. We used polished marble (3×6) tiles from Lowes. The price is great and the quality is amazing. There is so much more to share as we walk though this project. By the time we are finished you my friend will be a kitchen reno pro! Let’s be friends. 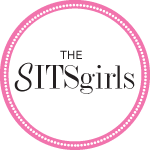 Connect with us on Twitter, Facebook, Instagram today! 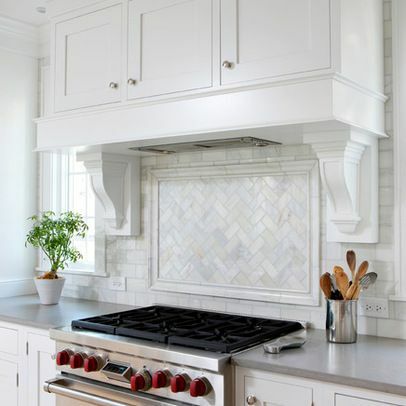 This entry was posted in Home Improvement, Kitchen Renovation, Uncategorized and tagged back splash, herringbone, kitchen design, Kitchen Renovation, Lowes, marble tile, The Raw House Project, white cabinets.